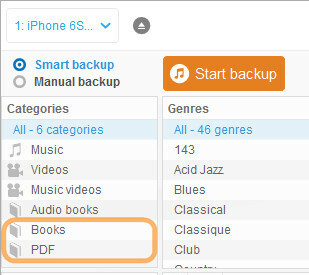 How to backup PDF documents and books from iPhone to PC? 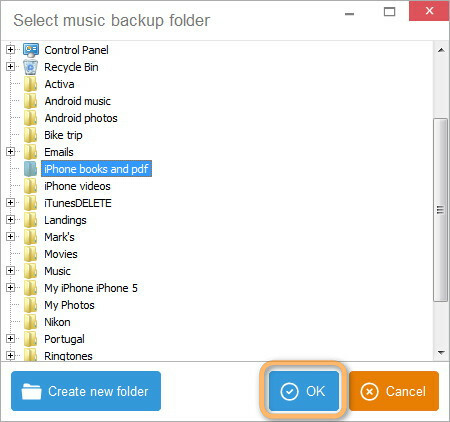 Home » How to backup PDF documents and books from iPhone to PC? The below tutorial demonstrates a safe and reliable way to preserve PDFs and books and keep an extra copy of the documents on your hard drive. 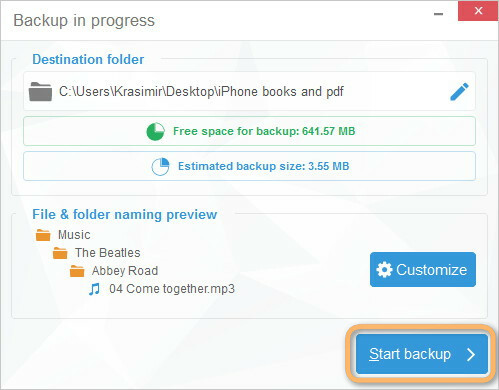 Here’s how to back up the files from iPhone to PC without iTunes. Start CopyTrans and connect the iPhone or iPad via the USB cable. 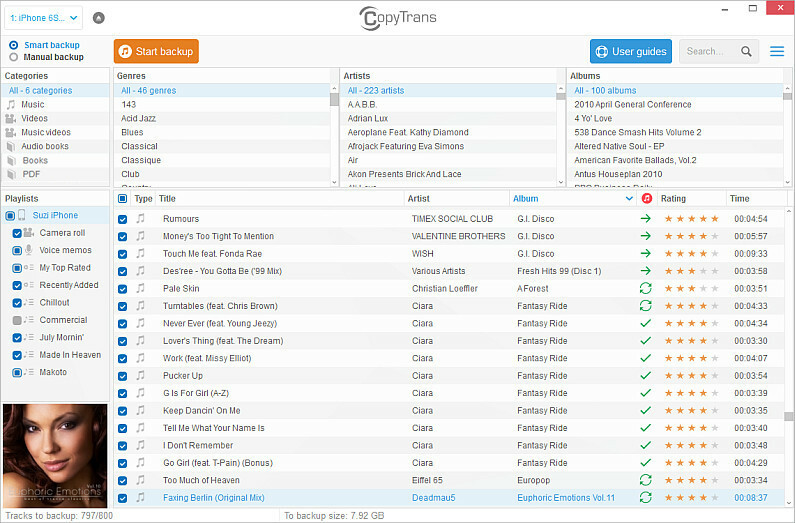 The main CopyTrans window displays all songs, videos, audiobook tracks, PDF documents and books saved on the iPhone. The PDFs, books and audiobooks were backed up to the selected PC folder. 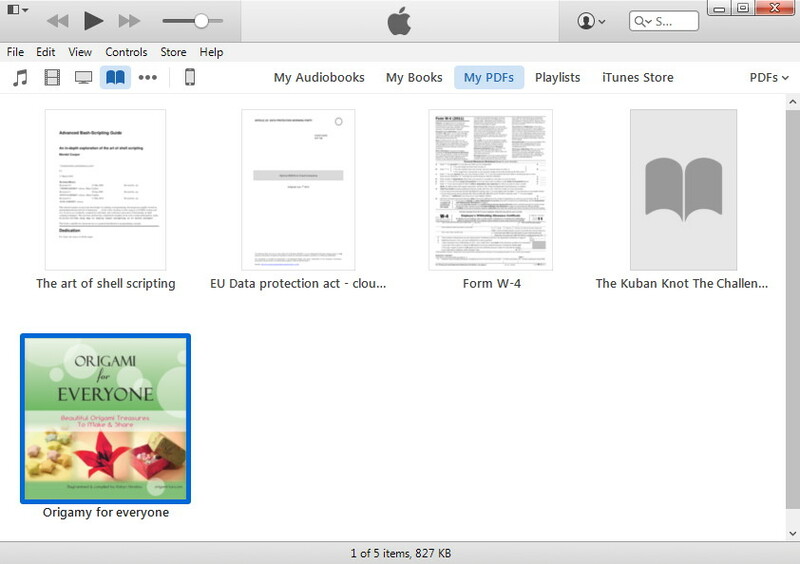 This is how to transfer PDF documents, books and audiobooks from iPhone to PC.